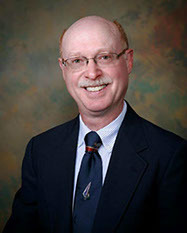 All posts by Darryl S. Weiman, M.D., J.D. In an effort to get out from under a “fee-for-service” model in health care delivery, the Affordable Care Act (ACA) calls for programs with different payment methods. The goal is to decrease the growth in health care spending and improve the quality of care being delivered. Physicians, hospitals, and other health care providers are being offered incentives to form networks to coordinate health care and deliver the care in a more efficient and less costly manner. An Accountable Care Organization (ACO) is an example of one of these programs. An Accountable Care Organization is paid a set amount of money per patient enrolled. Medicare is not billed per procedure. Bonuses will be paid to the ACO if it stays under a predetermined budget; but it will have to pay penalties if it goes over budget. Accountable Care Organizations are designed to have health care providers and hospitals coordinate care to keep patients from getting so sick as to require hospitalization. It is the hospitalizations that lead to higher costs. The government and other third party payers would pay bonuses to those systems that would keep costs below what would have been spent under the traditional Medicare model. Unfortunately, in crafting the ACO section of the ACA, the government made requirements which have led to increasing costs and a reduction in patient choices as to health care. These requirements include the need to institute an Electronic Health Record (EHR), track and submit quality measures data, and the ACOs must be at least 75% under the control of providers. The new overhead costs mandated under the ACA are forcing many private practitioners to give up their practices and become employees of the hospitals. This loss of private practitioners reduces the patient’s choices for providers. In fact, if the provider has to join a hospital or group that is not covered under the patient’s new insurance, they lose the doctor of their choice. So much for being able to keep their provider. With more overhead costs and less choice, it is not surprising that health care costs continue to rise. By requiring the ACOs to be at least 75% provider controlled, the law assumes that providers would actually be interested in doing this extra administrative work. Unfortunately, most physicians are not subject matter experts in starting complex health care organizations such as ACOs. Also, the needed data acquisition and analysis is beyond the expertise (and interest) of those whose real love is taking care of patients. The data acquisition and analysis is needed to be able to justify care and apply for the bonuses available for those providing high quality and cheaper care. The payers are unlikely to send the checks without the data. Even if the payers do send bonus checks to the ACOs, how will the bonus money be divided amongst the providers? Hospitals and health care systems are using Relative Value Units (RVU) to measure productivity of the providers. The providers who do more clinical work (generate more income for the system) get more RVUs. This looks like a fee-for-service model with RVUs being substituted for dollars. Is this a “Catch 22” of the ACA whereby those doing the most tests and procedures are, once again, the ones who will generate the most income? Currently, the physicians who are generating the most RVUs are the ones being rewarded; but those doing the necessary non-clinical work will not be generating the RVUs needed to be eligible for the bonuses. This model is inherently unfair. Unless there will be RVUs associated with administrative work, it is unlikely that physicians will be willing to do the work required in the ACO model; this will lead to a violation of the 75% requirement. What will happen to the ACO which is not provider controlled under the law’s requirement? There is no case on point yet, but I would not be surprised if this rule is ignored; not an unusual circumstance under this law. Under ACOs, providers are given financial incentives if they save money. They are to do this by avoiding unnecessary tests and procedures. They are also encouraged to keep a close eye on their patients with syndromes that could be optimally managed as outpatients. Diabetes and congestive heart failure are examples of clinical care models already being studied to improve care and reduce costs. How best to measure cost savings and quality is still being figured out. Unfortunately, this model only rewards cost cutting. There are no bonuses for providing good care. It is conceivable that ACOs which provide good care but do not reduce costs will be penalized. This has actually happened; Maine’s Beacon Health Network had a high score for patient health but was still fined $2.9 million for going over budget. Another ACO, Banner Health Network, scored lower on quality than Beacon in 2014, but they were paid a bonus of $18 million because they were able to cut costs. As health care costs continue to rise, and the patient mix continues to be predominately those who need to use health care, the ACOs are struggling. If ACOs are to survive, they will need to “cherry-pick” the healthy patients. Unfortunately, it is the healthy patient population which is holding off from buying health insurance as the premiums and deductibles continue to rise. The individual mandate and community rating makes the delay in purchasing health care insurance a reasonable choice for the patient but a potentially devastating situation for the ACOs. Many ACOs have withdrawn from the health care market and others are trying to consolidate to minimize costs. In an effort to get economy of scale, some ACOs are trying to merge. In a strange twist, the move to minimize costs by consolidation is now being blocked by government lawyers who are afraid that further consolidation will lead to monopolistic practices. A proposed merger of Aetna Inc. and Humana Inc. is being blocked by the Justice Department. A federal judge has set December 5th as the date to start trial proceedings. Under the current contractual agreement between the two insurers, if a merger does not occur by December 31st, Humana has an option of walking away and collecting a $1billion fee. This is another rather novel way for insurers to make money. In this case, however, Humana’s gain is Aetna’s loss. In a similar case, Anthem is trying to acquire Cigna Corp. This case is scheduled to begin on November 21st. If this deal does not close by April 30, 2017, Cigna will be owed a $1.85 billion breakup fee. 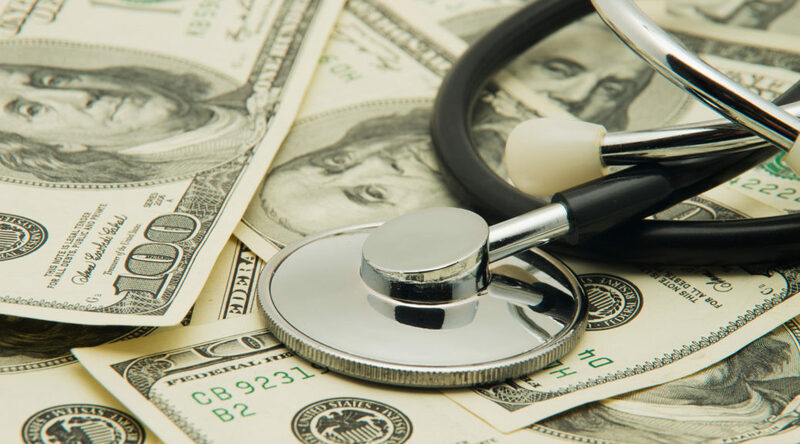 ACOs payment policies are evolving. It will take time for health care providers to adjust their mind-set from individual care—doing what’s best for an individual patient—to a population model where the cost of care must be reduced. If the ultimate goal is to have a single party payer, then punishing the surviving ACOs makes sense. When ACOs and other health care delivery models (Co-ops) disappear as is happening, then the government as the main provider of health care funding will be all that’s left. It is no surprise that both President Obama and Hillary Clinton have both planted the seeds for the single government payer. This article originally was posted July 29, 2016 on Huffington Post. I was recently reading a July issue of the Journal of the American Medical Association (JAMA) when a special communication written by Barack Obama, J.D., caught my eye (JAMA; Published online July 11, 2016). It was the first article I had ever read in a medical journal that was written by a president of the United States. JAMA is a much respected medical journal which usually presents peer-reviewed articles relating to medical research. However, the journal will publish special commentaries written by experts relating to timely medical issues. At first, I was taken aback by the President writing in a medical journal whose readership was pretty much limited to physicians. It seemed like he was using his “bully pulpit” to try and convince us that the Affordable Care Act (ACA) was well on the way to meeting its goal of increasing the number of people with health insurance, decreasing the costs of health care, and increasing the quality of the care provided. Seeing as there are about 850 thousand practicing physicians in the United States (based on a 2010 analysis of the Federation of State Medical Boards data base), I wondered why he was limiting his audience to such a select few. I then saw several related articles in newspapers and magazines commenting on the President writing an article in a medical journal. It is clear that the claims of the article did reach the general public which was probably the plan to begin with. The conclusions of the President’s article are that the ACA has lowered the number of people who do not have health insurance, access to health care has improved, financial security for those on Medicaid has improved, and health itself, based on a survey of nonelderly adults, has also improved. There is no argument that the ACA has lowered the number of people who do not have health insurance. Allowing young adults to stay on their parents insurance policy until they are 26, increasing the number of people eligible for Medicaid, and the individual mandate requiring health insurance or paying a tax (penalty), have all contributed to lowering the number of uninsured from 49 million people in 2010 to 29 million in 2015. Some argue that the improving economy has also had a role in allowing more to afford health insurance, but, clearly, the ACA is helping in this regard. The claims that access to care and the financial security for those on Medicaid has improved are based on another article in JAMA which presents data on self-reporting telephone surveys in adults aged 18-64 years (JAMA 2015; 314(4):366-74). There is a subjective bias in these types of surveys whereby those in favor of the ACA are more likely to respond. Objective measures such as claims data and health care outcomes would have been more convincing but were not done in this article. All of the authors in the cited article were employees of Health and Human Services (HHS) and HHS reviewed and approved the article before submission. Bias seemed obvious. Despite the claimed progress that has occurred under the ACA, the President would like to see policy makers (Congress?) take steps to improve the Health Insurance marketplace, increase financial assistance for Marketplace enrollees, reduce prescription drug costs, and institute a public plan option for areas devoid of individual market competition for health insurance plans. The article reads like a political speech. The President claimed that shortcomings of the law were due to lack of funding, excessive oversight, and relentless litigation by the Republicans. He also took special interests to the woodshed especially the pharmaceutical industry which opposes any change to drug pricing “no matter how justifiable and modest, because they believe it threatens their profits.” Talk about a “straw man”. In the article, the President asks Congress to give the federal government the authority to negotiate prices for certain high-priced drugs. There is no law that I am aware of that would prevent this negotiation from happening right now. I think what the President really wants is to regulate what pharmaceutical companies can charge. He also wants the Congress to keep the Independent Payment Advisory Board (IPAB) from any type of legislative review. The role of the IPAB is to determine what and how much Medicare and Medicaid will pay for. The last I checked, we have a free market economy where suppliers of a product are allowed to charge what the market will bear. Competition in the market place, not the government, is the best way control costs. As an academic surgeon, I was also bothered by the fact that this opinion piece failed to properly acknowledge those who were involved in the research upon which the article relied. Usually, these people are named as co-authors. Instead, they are named in a small paragraph just before the reference section. All were employees of the Executive Office of the President and there were no physicians in the group. Again, bias was obvious. The Affordable Care Act is failing. Some insurance companies are bailing out as they are experiencing financial losses. Some larger companies are trying to merge but are being blocked by the government who are afraid of monopolistic practices. Healthy people are not participating in the numbers expected since the tax penalties of abiding by the individual mandate are less than the insurance premiums and copays and there is no penalty for waiting until the need for insurance arises (community rating). Two thirds of the Obamacare Co-ops have withdrawn and two more are threatening to leave. They could not continue to sustain financial losses while still meeting their obligations to their policy holders. The Public Plan option raised in the President’s article is really just a single payer system. The plan was mentioned deep in the article and stated that Congress should consider it for those facing limited insurance market competition. As insurance companies bail out of this market, more people could become eligible for this option. Maybe that’s what the President wanted all along. Socialized medicine has been tried in other countries; it usually results in a two tiered system. Those who can afford to pay will be able to get timely and high quality care. Those who cannot afford to pay will be put on a waiting list and the care provided will be regulated by the government. I cannot be convinced that the government will be better at taking care of my patients than I am. This brings you to President Obama’s financial disclosure report; nothing is said about the other contributors. 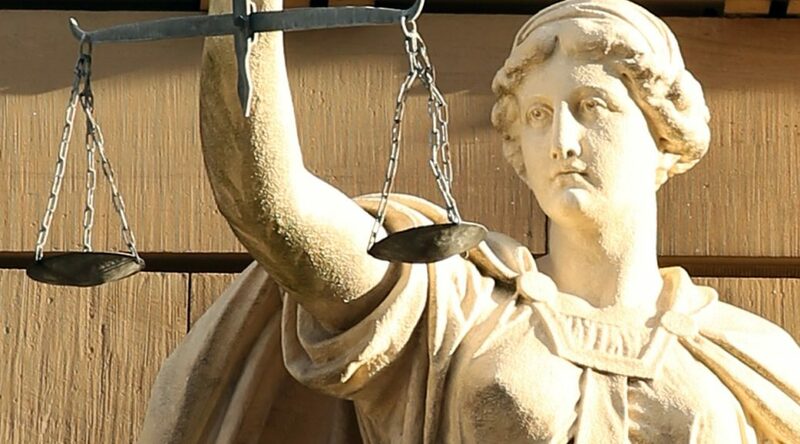 Lawyers are trained to present the evidence that is most favorable for their client’s position. President Obama is a graduate of Harvard Law School. The jury is still out. When the Affordable Care Act (ACA) was passed in 2010, there was a provision to have an excise tax on high-cost employer sponsored health care plans. This tax, known as the “Cadillac tax” was to be 40% of the cost of health coverage that exceeds certain, predetermined threshold amounts. This tax was to go into effect in 2018. In the original law, this tax was to be non-tax deductible and it was to be permanent. In calculating the tax, the cost of coverage was to include the total contributions paid by both the employer and the employees. However, cost sharing amounts such as co-pays and deductibles would not be used in the cost calculations. The intent of the Cadillac tax was to reduce the tax preferred treatment of employer purchased health care insurance; reduce the overall health care spending which was manifest by these high cost plans, and to help finance the expansion of health care coverage of the ACA. The tax was supposed to incentivize employers to pay their employees higher salaries or wages instead of compensating them with these desirable health care plans. The government could tax wages and salaries but they could not tax the health care plans prior to the ACA. It was also claimed by those who were in support of the tax, that the expensive health care plans were more likely to be used by the people; they would be more inclined to visit the emergency room or their physicians when they might not need to. People act rationally; they are more likely to use something if they do not have to pay for it. During the debates on the Affordable Care Act, Nancy Pelosi infamously proclaimed that the bill must be passed so that we can find out what’s in it (or words to that effect). She was being prescient. When it became known what benefits would be effected by the Cadillac tax there was significant movement to have it removed from the law. On December 18, 2015, Congress passed and President Obama signed a two year delay of the Cadillac tax. With the change, the tax would not become effective until 2020 and the payments would be deductible for federal tax purposes. The tax would be 40% of the cost of the health care insurance policy so long as the policy exceeded a predetermined amount. This predetermined amount is currently $10,200 for an individual policy and $27,500 for a family policy. However, these amounts are allowed to be raised before the tax takes effect in 2020. The tax will be indexed for inflation in future years which means it is only going up. For people under 65 who are engaged in high risk professions, the threshold amounts are a little higher, $11,850 for individuals and $30, 950 for a family policy. These amounts may also go up prior to the tax going into effect and they will also be indexed for inflation in future years. A recent survey done by the National Business Group on Health showed that about half of our nation’s largest companies have health plans that will reach the threshold by 2018 if measures fail to control rising costs. Three quarters of these companies are likely to reach the threshold by 2020. Not surprisingly, republicans, employees and employers subject to the tax would like to see it removed from the ACA. What is a surprise is that unions and some democrats are in agreement that the tax should eliminated. Even President Obama agreed to sign off on the two year delay on implementation—this is actually the first significant change of Obamacare that he will sign off on. 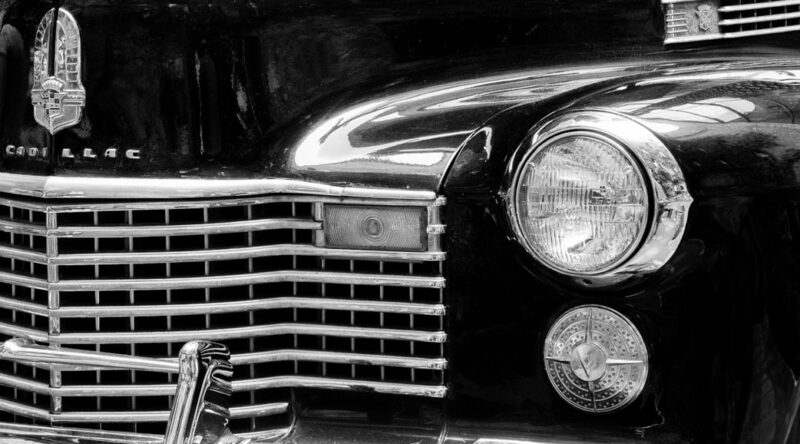 Initially the Cadillac tax will affect the benefits of employees and union workers that already have generous plans. As the caps rise each year (remember, they are indexed to inflation), this tax will go up. As the tax goes up, it is foreseeable that the wages and salaries of those who have the plans, will go down. Or, if salaries do not go down, it is foreseeable that the benefits will be decreased, or in some cases, eliminated. Since the plans deductibles and out of pocket expenses are not subject to the Cadillac tax calculations, it is likely that these costs will rise. Wellness programs, tax-free contributions to health savings accounts, and on-site health clinics, are all subject to health plan costs that are used in the Cadillac tax calculation. As such, they are likely to be removed from the plans even though they would be likely to decrease health care costs in the long run. Unions that have also been able to negotiate higher benefits in their health care plans (often at the cost of lower wages) would also be subject to changes in their health plan benefits. No wonder that President Obama and some democrats in Congress are willing to hold off on the Cadillac tax and let the next administration deal with its implications. One of the key problems with the Cadillac tax in its present form is the link of the threshold to standard inflation. Historically, inflation of medical costs has exceeded standard inflation and there is every reason to think that this will continue. As the costs of the plans rise faster than the threshold, more plans will be subject to the Cadillac tax. The battle between what the provider’s bill and what the third party payers will be willing to pay will also continue. Since the Cadillac Tax was supposed to help cover some of the costs for Obamacare, the two year delay will lead to increased deficits associated with the law. In fact, the Committee for a Responsible Federal Budget estimates that the delay will add over $90 billion to the federal deficit. It’s hard to predict how people will react once this tax goes into effect. Will it change the way people see their health care providers? Will health care costs decrease as people will be less inclined to see their providers under the lesser plans? Will health care improve? Hard to believe that it will. The two year delay in implementation will allow Congress to make adjustments such as by indexing to medical inflation. 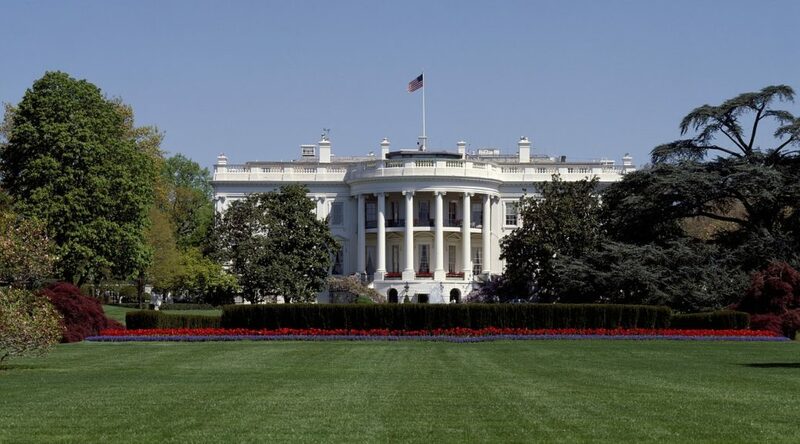 However, if a republican administration is elected to the Oval Office, then the postponement will likely become just the first step to repeal, not just of the Cadillac tax, but all of the Affordable Care Act. The Electronic Health Record: Boon or Boondoggle? In 2009, Congress passed the American Reinvestment and Recovery Act. In this law was a requirement that physicians and hospitals must start using electronic health records (EHR) by 2014. Written into the law were Medicare reimbursement penalties for those who have not converted to the electronic records within the stated time-frame. One of the main incentives for establishing the EHR was to reduce health care costs. In fact, there were estimates that the EHR could reduce costs up to 20%. Even though the use of electronic records has great potential to improve care and reduce costs, current limitations of the records have prevented these, hoped for benefits, from reaching their potential. The Affordable Care Act has emphasized the need for an EHR. Starting in 2015, Medicare payments would be reduced for physicians who have not adopted an electronic health record. Medicare has been directed under the law to look at cost and quality data gleaned from the electronic medical record in order to calculate payments for physicians. Some clinicians have chosen to stay with the paper record and take the loss. I think they are being short-sited. First let’s look at the potential benefits of an electronic health record. With an electronic medical record accessible to any health care provider, the records should be available at any time and at any site where care is being provided. There would be no delays in getting the information needed to provide timely and appropriate care. Previous care episodes, including lab values, radiographs, and other diagnostic studies would be available and visible over the internet. Operative notes, discharge and progress notes, consults and other written records would be legible and complete. This data would help prevent duplicative testing and would facilitate coding and accurate billing. The electronic records would reduce the need to fill out the same forms every time a new provider was seen. It would allow each provider to be warned of any allergies or other critical information that was found during previous episodes of care; view alerts could be programmed to pop up and provide these warnings whenever the record is opened. With electronic records, patients can communicate with their provider over the internet. Questions can be answered, new symptoms can be described, and appointments can be made or changed without an office visit or a phone call. Some care could be provided in an outpatient setting which would reduce costs. Management of diabetes, chronic obstructive pulmonary disease, and congestive heart failure are examples where there have been significant cost savings by keeping the patient healthy enough to stay out of the emergency rooms and/or being admitted for in-hospital stays for management of disease exacerbations. Safeguards can be built into the system to prevent adverse events; preventing a prescription of a drug the patient is allergic to would not be allowed. Of course, a negligent provider may override the warnings, but that would put him at risk for a malpractice suit. The records have areas where the provider can access search engines to find the latest medical information on disease entities. This would enhance his ability to order the appropriate diagnostic tests and make the appropriate therapeutic decisions. I once had a conversation with the General Counsel of IBM where I stated my concerns that Watson may put physicians out of a job. I was assured that the computer was meant to help us, not to replace our best medical judgment. The EHR can also remind the physician when certain care is due such as vaccinations and (shudder) colonoscopies. Electronic records allow for easier referrals to specialists and allows for easier access to follow-up care. E-prescriptions can be sent electronically to the pharmacy. Scripts would be less likely stolen and mistakes in verbal communication from sound-alike drugs would be minimized. Electronic health records make it much easier to perform “data mining” for research and quality assurance endeavors. With the proper software, large groups of patients with various disease processes can be found. Charts, graphs, and costs can be ascertained with a click of a mouse. Various treatment modalities can be compared as to efficacy and cost effectiveness. This would allow advances in care to progress at a quicker pace; the cost of the research would be decreased as data can be gathered quickly by the computer. Previously, this research was tedious; researchers would gather the information one chart at a time. The data would be placed on spread sheets one patient at a time. Quality data can be quickly found with the EHR. This would allow hospitals to keep an eye on quality measures and would allow for monitoring bodies to quickly identify low outliers so that remedial measures can be instituted in a timely fashion. As a physician, I recognize the benefits of the EHR. I also recognize, and have experience with, its shortcomings. For some reason, the different purveyors of the EHR have not made their systems compatible. The premise that the records would be available to all clinicians has not come to pass. The records are great if you stay within the system (like we have in the Veterans Administration), but the records are not accessible by care-givers outside systems. Perhaps the greatest criticism of the electronic health record is that it interferes with the doctor-patient relationship. Physicians spend more time looking at the computer screen and typing than looking at and listening to the patient. The doctor-patient relationship is an intimate one. We listen to very private concerns and we lay on the hands to examine the body. This relationship is a property interest that lies with the patient and it can be argued that this privacy interest is protected by the United States Constitution. The government and any other third party should not be allowed to interfere with this relationship. And yet the forms we have to fill out for billing, research, and quality assurance does infringe on this interest. Physicians are trained to gather data, think about possible diagnoses and then act using their best medical/surgical judgment. When we use the electronic record, entering data makes us feel like a clerk. If the computer tells us what to do, then how can we function as independent practitioners? Electronic health records are expensive to put into a practice. They cost between $80 thousand and $100 thousand and it is often necessary to hire a scribe to enter the data. This scribe can be cost effective as it frees up the physician to better communicate with the patients and it allows him to generate extra income. These scribes can cost about $25 thousand a year in salary alone. Will the presence of the scribe infringe on the physician-patient relationship? Will the patient be willing to have another person, a non-physician, in the exam room? How much training and skill must the scribe have in order it ensure that the information entered into the medical record is accurate? 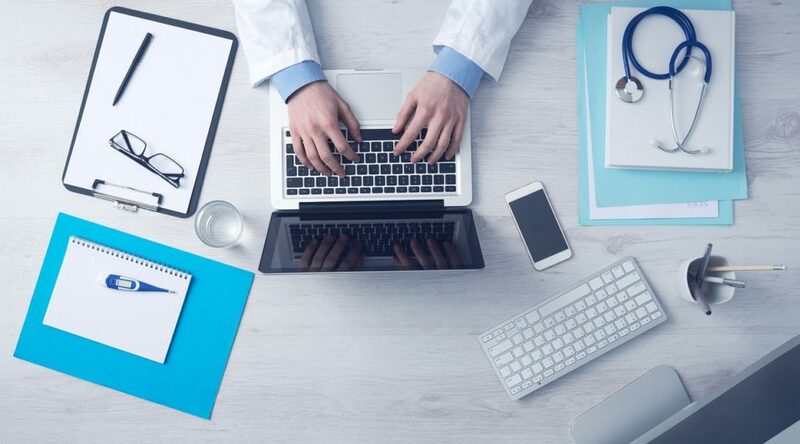 Between the cost of the electronic health record, the computers needed in each exam room to access the record, the scribe costs, and the decrease in reimbursements from Medicare, Medicaid, and other third party payers, it is not surprising that many private practitioners are leaving their practice and becoming employees of hospitals and medical groups. Becoming an employee of a hospital has its own set of problems. Physicians should not be primarily concerned with how resources are spent and how forms should be filled out to best assure proper payment. Insurers and government efforts may not be aligned with the best interests of the patient. As more physicians become employees of hospitals and medical groups, more pressure is applied to generate income as opposed to optimize patient care. If the income generated by the practitioner does not meet the expectations of the employer, they may have their salary reduced or, worse, they may be let go. It is noteworthy that the writers of the Affordable Care Act have chosen to not participate in either the state or federal exchanges. They want to keep what they already have. What do they know that we don’t? Overall, I think the EHR is a good thing. I like having the patient’s records easily accessible from any computer in the hospital. The records are organized and they are easy to read. I was trained in the late 70’s and early 80’s when paper records were all there was. Often, the records were lost in the medical records section of the hospital. Even when we could get the records, some of the notes were illegible (doctors are notorious for terrible hand-writing), and often, the data was not up to date. Despite the obvious benefits, improvements must be made. All EHRs need to be compatible and accessible for all providers. Use of the record must be easier so as not to detract from the physician-patient relationship. The costs must go down for the clinician (or payments must go up). These records are here to stay; we are not going back to paper. As physicians, we took an oath that says “Primum, non nocere”—“First, do no harm.” This is part of the Hippocratic Oath and it is not written in any legislation that I am aware of. When patients come to their doctor, they are not concerned with regulations from the government that may be coercive and not in their best interests. They want the physician to take care of them to the best of their ability. This is what we physicians must continue to strive for. We are scarce medical resources. We should remember this. Section 3007 of the Affordable Care Act mandates that the Center for Medicare and Medicaid Services apply a value modifier under the Medicare Physician Fee Schedule. Cost and quality data, gleaned from the electronic health record, will be used in calculating payments for physicians. Conversation with Michelle Browdy, General Counsel, IBM (2015). Watson is the IBM supercomputer that beat the humans on Jeopardy. It was named after the founder of IBM, Thomas Watson, not, as many believe, Sherlock Holmes’ partner and friend, Dr. Watson. I have a copy of this oath on the wall of my office. I look at it every day that I am there. American Reinvestment and Recovery ActDarryl S. WeimanE-prescriptionsEHRelectronic medical recordJ.D.M.D. 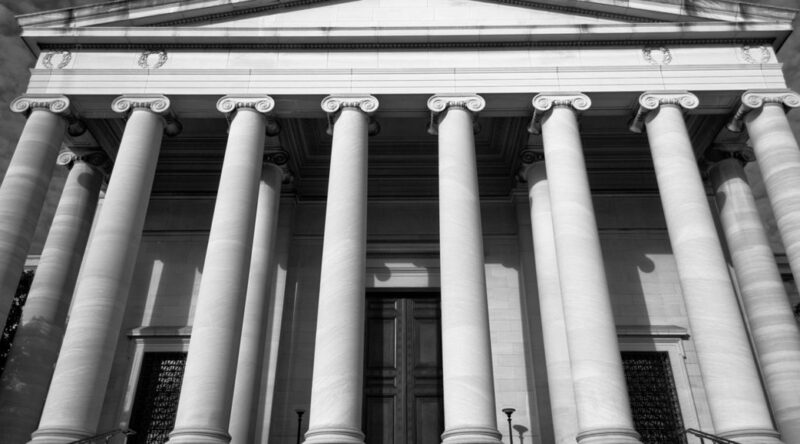 The Collateral Source Rule is a legal doctrine holding that the damages being asked for by a plaintiff should not have payments coming from a source other than the defendant deducted from the damages the defendant would otherwise have to pay. The origins of this rule lie in the common law whereby the jury was forbidden from considering evidence of the plaintiff’s health insurance in covering some of the future medical expenses emanating from the defendant’s negligence. It seems like this rule would allow the plaintiff who has health insurance get a windfall if he wins the malpractice suit. The insurance and the defendant would both be paying for the same projected future health care costs which were due to the injuries. As a physician, this rule seems to be, on its face, unfair. A look at the history of the rule is warranted. The Collateral Source Rule comes from common law which dates back to the nineteenth century. At that time, health insurance was rare and those that had it paid for the premiums out of their own pockets. The courts felt that there was a strong public interest in having health insurance and they did not want to penalize people who had the insurance by decreasing their medical malpractice damages by the amount paid for by the insurance. The problem with the common law was the potential for the plaintiff of obtaining a double-recovery for the future medical expenses calculated in the damage claim of the malpractice suit. As more people obtained health insurance, especially from employer plans, the strong public interest in getting people to get coverage became less of an issue. In a quest for fairness, some states passed collateral source statutes which aimed to prevent the double-recovery of damage claims. Under these statutes, the jury was still prevented from hearing evidence of health insurance coverage when deciding on the damage award. However, after the jury verdict, the defendant is allowed to present evidence of collateral sources of payment before the judge. The judge would then be allowed to reduce the jury award by an amount that was “reasonably certain” to be covered by the insurance policy. With the passage of the Affordable Care Act (ACA) in 2010, the near universal health coverage mandates takes away the need of the Collateral Source Rule. Juries should now be allowed to hear evidence of health care coverage when evaluating the damage award in a malpractice action. The public interest of incentivizing individuals to purchase their own health care insurance is now gone; the ACA now requires the purchase of health care insurance and those who do not are subject to penalties (a tax?). Health insurance policies may differ as to what is covered, how much will be paid for the health care, and the duration of the coverage. There are caps to some policies and the court recognized this. Both the duration and the quality of health insurance policies were variable and could be changed by the carrier at any time. The fact that the patient had medical insurance did not guarantee that his future medical expenses would be met. It made sense to keep this information from the jury. Rather than penalize the patient with poor health care coverage, the jury would be better off not knowing that the patient even had coverage. However, under the ACA, there is a certain minimum amount of coverage that must be in the policy. Also, the policy has no ceiling of benefits and the policy can attach to the patient forever. As such, it makes sense to argue that the coverage that must be provided under the law should now be presented to the jury prior to making their deliberations. The strong public policy of encouraging patients to obtain health care is fast becoming a non-issue as most people are now required to get a policy or be covered under Medicare or Medicaid. The issue addressing the necessity of the Collateral Source Rule will likely be litigated in several courts in the near future. Plaintiffs will argue that the Rule is still needed as the long-term viability of the ACA is still unknown. Insurers are leaving the market as their losses are significant, people are going without health insurance as their co-pays and premiums are going up, and there are only minimal penalties to holding off on buying insurance until an illness or injury strikes. At this time, there is uncertainty that the ACA will survive both from a financial and a political standpoint. If a Republican elected to the Oval Office, the ACA may be overturned. This is especially likely if the House and Senate remain in republican hands. If the insurers continue to leave the market due to financial losses, there will be a complete collapse of the system. As long as the future of the ACA is uncertain, it is unlikely that the courts will see fit to revisit the Collateral Source Rule. Perhaps it would be best to keep the knowledge of a health insurance plan in the hands of the judge anyway. Affordable Care Act (ACA)Aidan Ming-Ho v. Verdugo Hills HospitalCollateral Source RuleDarryl S. WeimanJ.D.M.D. This article by Dr. Weiman also first appeared on Huffington Post on June 13, 2016. Congress. The Congressional Budget Office estimates that this funding would be about $130 billion from 2017 through 2026. This case was also argued on a “standing” basis. Judge Collyer held that the Congress was injured when the administration paid the subsidies. The “power of the purse” is a practical way for the Congress to exercise its check of the Administration. Without this power, they would be harmed; thus standing was affirmed. One of the linchpins of our Constitutional republic is the separation of powers. Article I of the Constitution gives the sole power of spending to Congress. This “power of the purse” was meant to be a critical check against tyranny. If the President were to have the power to legislate (designate how money from the Treasury would be spent) along with the power to enforce the laws, then he could essentially ignore Congress altogether. He would have the power of a dictator, not a president. This is what the Constitution was meant to prevent. The Obama administration had argued that they were trying to faithfully implement the law and the funds they were using were in another section of the law dealing with subsidies to reduce the cost of health care insurance. Under Section 1401 of the Affordable Care Act (ACA), the insurance companies that were participating in the exchanges were required to provide discounts to eligible lower income people who were purchasing health insurance. Under Section 1402 of the law, no money had been allocated for the insurance companies themselves although they had been promised subsidy support. This is not the first time that Congress had promised financial support but failed to allocate the necessary funds needed for the support. In fact, this seems to be a common occurrence; see “unfunded mandates”. Even without the money from Congress, the administration decided to pay these subsidies anyway. The insurance companies were losing billions of dollars and they were threatening to leave Obamacare if this support was not forthcoming. purchasing policies on the various state exchanges. There was no explicit funding of the subsidies in this section. In her decision, Judge Rosemary Collyer wrote that the “Affordable Care Act unambiguously appropriates money for Section 1401 premium tax credits but not for Section 1402 reimbursements to insurers.” The Obama administration had argued that this appropriation could be “inferred” but that claim was rejected by the judge. Laws must be very specific when they relate to appropriations coming out of the United States Treasury. Under Judge Collyer’s ruling, Health and Human Services (HHS) has been enjoined from paying subsidies to the insurers but she stayed the order pending the expected appeal of the Obama administration. It is foreseeable that the insurance carriers will not wait for a final decision as their costs are rising significantly. They will either raise their rates or they will leave the exchanges altogether. In fact, this is already happening. Judge Collyer recognized that she may be overruled on appeal. As such she stayed her injunction. However, without the payments from the government, the insurance companies will be facing significant financial losses. Several carriers have already predicted they will need double digit increases on their premiums for 2017. These premium increases will be on top of premium increases that went into effect in 2016. With these increases, more people, especially the healthy ones, will be inclined to go without insurance and pay the penalty instead. Without the participation of these healthy people to off-set the costs of the older and sicker patients who will be using the insurance, the providers may not make it. No company can remain viable if they are likely to lose money on a continuous basis. If the decision is upheld on appeal, then it is foreseeable that many insurance companies will have to raise their premiums, increase the deductibles of the policies, and/or withdraw from providing policies under the exchanges. In either case, the ACA will be significantly affected as many people will choose to opt out and pay the penalty (tax) instead of paying higher premiums for lesser policies. In light of “guaranteed issue” and “community rating” people will be inclined to hold off on buying health insurance until they need it; there is really no penalty for waiting so long as the penalty is less than the costs of the policies being offered. In the unlikely scenario that the ACA is put in jeopardy with this decision, the republicans will be under a lot of pressure to get a viable alternative in place. If a democrat wins the presidency, a movement to a single party payer will likely occur. Could the appellate court overturn the decision? Of course it can. The DC Circuit, which has historically sided with the Obama administration, is likely to do the same for this case. They can hold that the money appropriated under Section 1401 can be used to pay for the subsidies. It would not be too much of a stretch to predict that the Supreme Court will also disagree with Judge Collyer. After all, in two previous Supreme Court decisions, Justice Roberts upheld Obamacare; first by equating federal and state exchanges. In the second case, Justice Roberts held that the penalty for not buying health insurance was allowed under the taxing power of the Constitution. Four justices felt this power was allowed under the Commerce Clause but Justice Robert’s was not willing to affirm on this basis. The Supreme Court may have the final say as it often does. The Supreme Court is not last because it is right; it is right because it is last. There must be finality in the law or the litigation could go on forever. 1401 of the Affordable Care Act (ACA)Article I of the ConstitutionDarryl S. WeimanJ.D.Judge Rosemary CollyerM.D. This article by Dr. Weiman also first appeared on Huffington Post on June 04, 2016. In Atlas Shrugged, written by Ayn Rand, a dystopian America is described. Health care is addressed in this novel. One of the characters, a prominent neurosurgeon decides to leave practice as opposed to losing his autonomy in patient care. For him, it was no longer worth it to be a physician. The goals of health care reform are to ensure that everyone has access to high quality care and the care is affordable. Most providers believe that significant cost savings would be realized if there was meaningful tort reform. 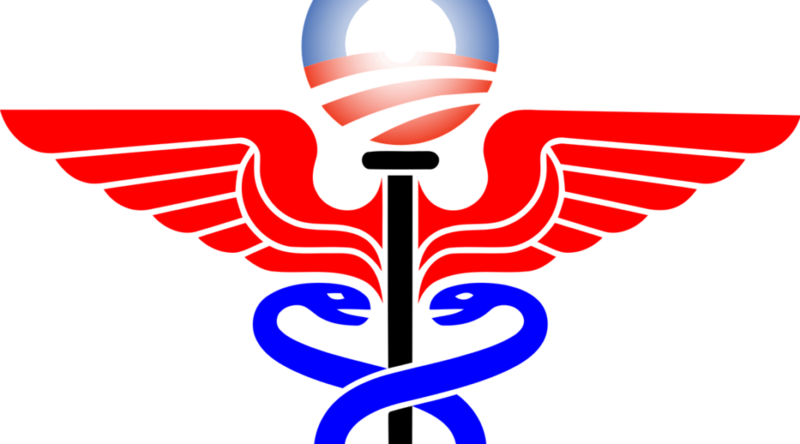 In fact, when the Affordable Care Act (ACA) was being formulated, there were numerous discussions relating to the limitation of future damages for patients injured by medical negligence, modification of the collateral source rule, and funding to the states for experimentation on litigation alternatives or substitutes. Unfortunately, the only part of the ACA relating to malpractice reform to be passed was section 10607 of the Act which, “authorize[s] the Secretary of Health and Human Services to award demonstration grants to states for the development, implementation, and evaluation of alternatives to current tort litigation.” This section does not eliminate malpractice litigation; it will only look at alternative ways of resolving the cases. At this time, a health court model is being looked at in some states but the effects on malpractice cases are not yet known. It is also unknown if this model will still require a report to the National Practitioner Data Bank if all or part of the payment is due to the actions of the practitioner. I think the report will still be required so it is unlikely that the physician will change his tendency to practice defensive medicine. As a result, this section of the law is unlikely to result in a decrease in health care costs. The risk to providers remains. Malpractice coverage will still be required to practice and losses can be catastrophic. Even if a verdict is within the limits of the coverage, the provider who is found liable will be reported to the National Practitioner Data Bank which could have significant detrimental consequences if he wants to move to a new practice or when his privileges are up for renewal at the facility where he presently practices. With mandatory health insurance or Medicare and Medicaid, it was hoped that the 30 million uninsured in the country would now be covered. With a ban on lifetime payout limits and a prohibition on insurers from excluding patients with pre-existing conditions, the duration of coverage was also significantly increased. With more patients covered and covered for a longer time, it is foreseeable that more malpractice claims will result. Despite the passage of the ACA, physicians and other health care providers continue to practice “defensive medicine” in hopes of better defending or even preventing future malpractice claims. By ordering more tests and doing more procedures in hopes of covering all the bases and not missing any significant diagnoses, the hope is to avoid any future litigation; the extra procedures and tests may not be in the patient’s best interests and some may even be harmful, but it will allow for an easier defense if faced with a claim. There are several mandates under Obamacare which require significant expenditures on the part of health care providers. These expenditures have led to increased overhead costs which many, if not most, private practitioners are not able to meet. As a result, many providers are joining health care groups or hospitals whereby they become employees. The groups take care of the overhead costs and the providers are paid a salary. One of the results of this practice model is that outpatient care and inpatient care is being divided. Patients are no longer the responsibility of a single practitioner. They may see a family practitioner in the office setting, but in-patient care will be provided by a hospitalist who has not yet had the opportunity to form a physician-relationship. The lack of this relationship is more likely to result in some animosity, especially if the hospital course does not go well. It cannot be good if the patient is viewed as a customer of the hospital as opposed to a person with whom there is a long-standing relationship. This inherent animosity will make it more likely to have a malpractice suit filed if the patient does not do well. When a physician becomes an employee, they are expected to follow guidelines and protocols many of which were approved by Medicare. If the physician is able to meet certain benchmarks outlined in Medicare, they will be rewarded with a share of the savings. Failure to follow these guidelines can lead to economic penalties; the provider is faced with a dilemma—do what he feels is best for the patient or face decreases in pay and, perhaps, even the loss of his job. If the patient suffers harm, a medical malpractice suit is likely to follow. Then there is the issue of malpractice premiums. If the employer is paying the premiums, will the lawyer hired to defend the case be answerable to the employer or the physician? If this is not spelled out in the physician’s employment contract, it is likely that he will need to hire his own attorney to be sure his interests are protected in the suit. This can be a significant expense. The physician is caught in the middle. Too bad! The jury will not be sympathetic to the economic chains attached to the practice. The jury expects the physician to use his best medical/surgical judgment at all times. The standard of care is unchanged under the ACA; the physician will be expected to do what a reasonable physician would do if faced with the same or similar circumstances. I do not think that economic considerations will be entertained in this analysis. With the changes in the health care environment driving many practitioners out of private practice, it is likely that we will see a rise in contract health care on a cash basis. For those who can afford it, this will be personalized health care with a known provider who will guarantee that he will provide the care needed as an outpatient and will guide the care needed in the hospital environment. The third party payers will be left out of this arrangement. We are already seeing this type of care with “concierge” practices and with “medical tourism”. The model has been established in cosmetic surgery and Lasik eye surgery. As for medical tourism, this model is already being offered, at very competitive rates, in several foreign countries for such things as heart surgery. In the final analysis, it looks like the ACA has created a health care environment where it is more likely for the provider to be the target of a malpractice suit. Although alternative forms of resolution will be investigated, the target will remain the same. Tort reform will likely be a slow process handled by the states. Physicians will vote with their feet. They will migrate to the states which have the more favorable laws relating to medical malpractice. States with unfavorable laws will be forced to change or be faced with a shortage of physicians. This scenario has already played out in Mississippi. In the meantime, health care costs continue to rise at a rate that exceeds regular inflation.